Every spring training, seemingly every other ballplayer shows up to camp and declares himself "in the best shape of my life." 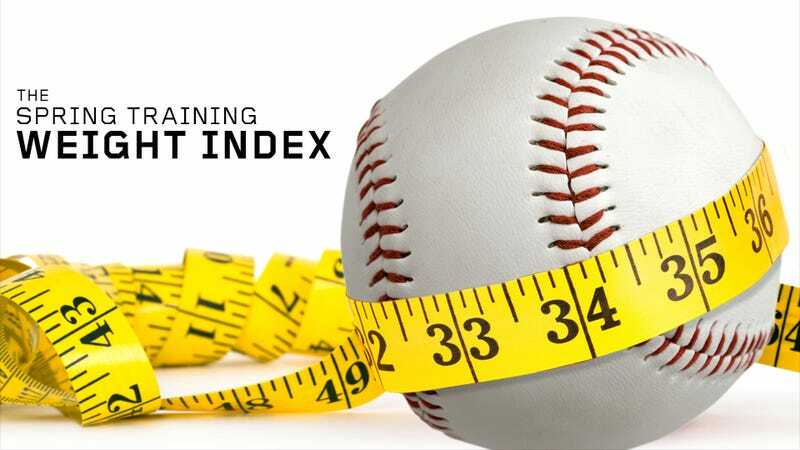 Our pal Craig Calcaterra over at HardballTalk has done yeoman's work on this phenomenon over the years, but we wanted to know more: Who gained weight? Who lost weight? How much? And why? We've compiled a list below featuring baseball's biggest losers and gainers for the 2012 baseball season. With a few exceptions, the 2012 weight figures were calculated using listed weights for 2011 and adding or subtracting whatever pounds were gained or lost. A word of caution: Because we're talking about two things that entail a great deal of magical thinking—baseball players and weight—it's likely that just about every number listed below is a fib.